Many business intelligence (BI) vendors don't develop their own data visualization tools, instead embedding technology from vendors like Tableau Software and Panopticon. You may never have heard of Tableau Software, but if you use business intelligence (BI) software, you've probably used the company's data visualization tools. That's because, aside from some of the mega-vendors, most BI and data analytics companies outsource data visualization development to Tableau or vendors like it. BI vendors incorporate these visualization tools -- the final product that users actually see on their monitors to help them understand large amounts of data -- into their BI suites. For example, Oracle's Essbase Visual Explorer, an interactive performance management dashboard, is based on visualization technology developed over a number of years by Tableau Software, said Elissa Fink, vice president of marketing at the Seattle-based company. 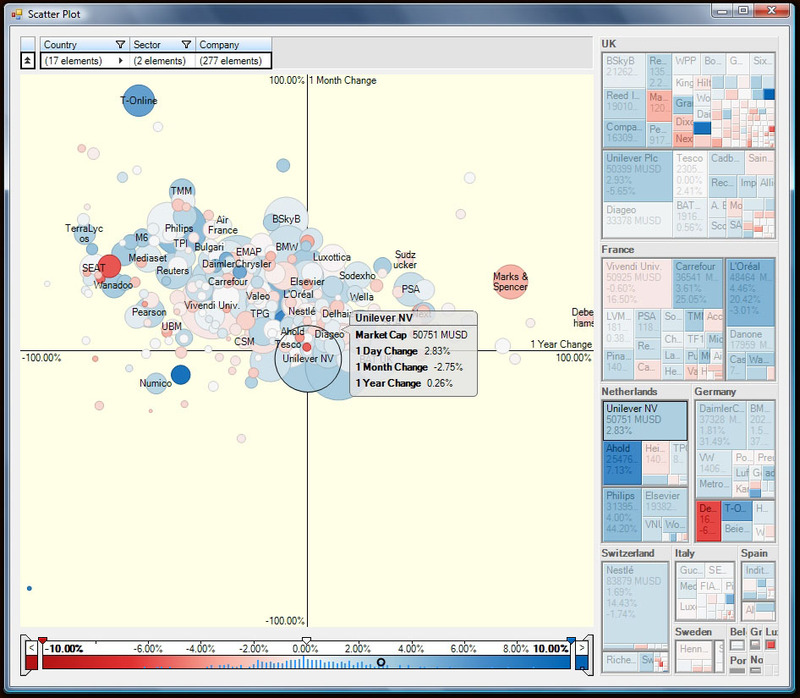 Not surprisingly then, most innovations in visualization technology over the last several years have come from Tableau and a handful of other visualization specialists, analysts agree. The result is that data visualization has in fact become almost commoditized, with visualization capabilities varying surprisingly little among the top BI vendors because they often get the technology from the same sources, according to Forrester Research's Jim Kobielus. "It's a real shooting war at the top of the BI market," Kobielus said, and vendors know they can't afford to let their visualization capabilities fall behind those of competitors. "The state of the art [in data visualization] has more or less converged on a common set of features and a common approach across many BI vendors." 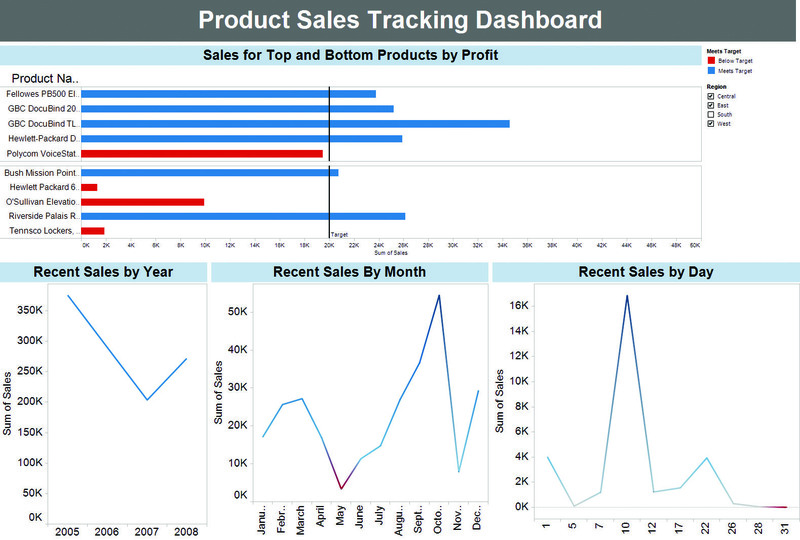 Most of the major BI vendors – including SAP Business Objects, IBM Cognos, MicroStrategy, SAS Institute, and Information Builders – offer comparable visualization capabilities that include, for example, interactive bar charts, gauges, pie charts and geographic mapping. In addition to Oracle, Tableau Software partners include IBM, Vertica, Teradata, and Oco. Panopticon Software AB, a data visualization company based in Stockholm, has similar deals with more targeted data analytics vendors, including Advent Software, which embeds the technology in its investment management and analytics technology, and Deltek, maker of enterprise management software for manufacturers and defense contractors. That visualization technologies are fairly homogenous among vendors is actually a good thing, however, as it makes it easier for users to move seamlessly between applications and tools yet achieve the same basic understanding of the data, Kobielus said. It obscures the underlying BI platform to a degree, he said, which helps users share and understand BI and data analytics without having to learn a new system or technology every time. "Visualization is a personal experience, but it's also a collective experience in that we share it with others," Kobielus said. "When I share something I built, the other guy should be able to understand and use it. People can do this when we all share a common visualization paradigm." In fact, the real innovation in visualization technology over the coming years is likely to have nothing to do with the technology itself, he said, but how users access the technology. "Offline visualization is becoming a critical component of the whole Web 2.0 experience," Kobielus said. He pointed as an example to Information Builders' Active Reports -- essentially interactive BI reports that can be accessed online or off because they are disconnected from data sources. Tableau Software also offers users a number of ways to publish and share its visualization tools, according to Fink, including embedding them in Microsoft's SharePoint Server collaboration software or in an iGoogle page. In addition to innovating with new ways to consume and share data visualization tools, the data visualization vendors argue that they are also developing new and cutting-edge visualization technology. Panopticon Software last summer debuted what it calls a horizon graph. It can display data from up to 50 "time series"-based events, one on top of the other, to compare sequences of events, for example. Another tool, called a treemap, displays data as differently shaded and sized boxes, with the color and size of each box reflecting its importance and even whether it is "good" or "bad" news, according to the company. Panopticon developers are also currently working on new technology that might best be called a recommendation engine. Users input data into the engine, which then recommends the best visualization tool to understand and analyze it, according to Markus Skyttner, the company's CTO. 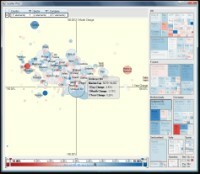 Tableau's Fink said her company will unveil a number of new visualization capabilities with the release of Tableau 5.0 later this month, though she declined to elaborate. Both Tableau Software and Panopticon sell directly to enterprise customers in addition to selling their visualization tools to BI vendors to embed in their products. Each company, in fact, estimates that about half of its business is direct to the enterprise. PrimeResources, a Bridgeport, Conn.-based promotional products company, has been using Tableau Software's visualization suite to analyze sales data since 2005. Rick Brenner, the company's president and CEO, said that at one point he was ready to purchase Hyperion's BI suite when he learned that his favorite feature, Visual Explorer, was based on technology by Tableau and was available direct from the company at a much lower price. "Then [going with Tableau over Hyperion] was a no-brainer," Brenner said, even though Tableau's technology doesn't include database management or ETL tools. PrimeResources already had such capabilities built into its Microsoft SQL Server database, he said. All the company needed was the visualization tools to sit on top and analyze the data. "Buying the Hyperion system [would have] duplicated something we already had." But whether straight to the enterprise or incorporated into existing BI suites via OEM agreements, visualization technology is all designed with one goal: to make it easier for mere humans to intuitively understand vast quantities of data with just a single look. As Fink puts it, "Visualization should be an extension of how your brain is thinking."